At a gala party thrown by her parents, Evelyn Hardcastle will be killed—again. She's been murdered hundreds of times, and each day, Aiden Bishop is too late to save her. Doomed to repeat the same day over and over, Aiden's only escape is to solve Evelyn Hardcastle's murder and conquer the shadows of an enemy he struggles to even comprehend—but nothing and no one is quite what they seem. 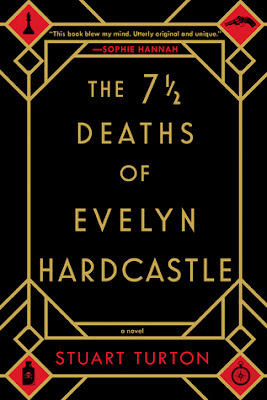 I totally admit that the first thing that drew me to The 7½ Deaths of Evelyn Hardcastle was that bold, captivating book cover, as well as the intriguing book title. I was instantly curious! One of my goals for this year was to step out of the box and try reading new stuff, and I’m all about mystery novels at the moment, so this book sounded right up my alley. It was definitely worth the read!! Imagine having seven days to solve a murder that has already happened, and each day you wake up in a new host’s body, where you have to figure out what exactly happened from each person’s perspective. It’s a vicious reoccurring cycle of events, and the only way you can finally get free is to solve the murder by the end of the last day, or the cycle starts over again. That, dear bookworms, is the mysterious, addictive story you get with The 7½ Deaths of Evelyn Hardcastle. Let me start by saying that I don’t think I’ve ever read a book like this before. The story was completely engrossing, and kept me guessing as I flew through the pages. It actually took me a while to catch on to the fact that there were different hosts in the story, but once I figured it out, I found it to be completely fascinating! Seeing the same story happen from so many different viewpoints, and for each person to be so completely different from one another, well... it was interesting! Also, the setting for the book was perfection, and fit the storyline perfectly. The storyline was full of twists and turns that totally kept me guessing as I flew through the pages. I didn’t know what to expect by the end of the book, but everything came together rather nicely, which made for a really great read!! 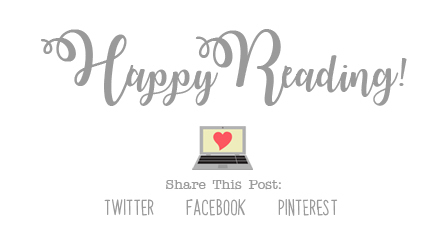 Overall; The 7½ Deaths of Evelyn Hardcastle was just the thing I needed to read at the moment, and I’m so glad that I had the opportunity to read it! I will most definitely be keeping my eye out for more books by Stuart Turton in the future, as I would absolutely love to read more of his work as well. If you like a mysterious read that keeps you guessing, do check out The 7½ Deaths of Evelyn Hardcastle! !